United East Athletics Association began competing in the 2000 Hong Kong Dragon Boat Competition with only an open team. 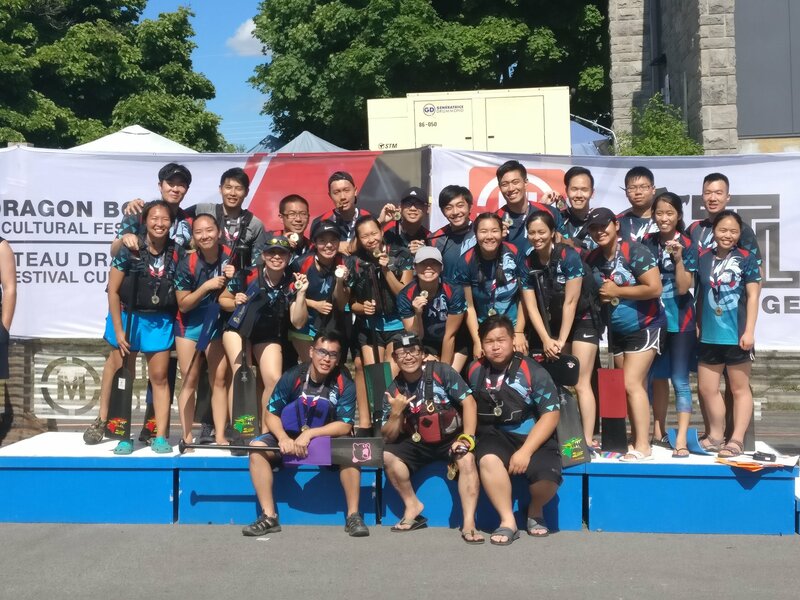 The team has grown dramatically over the years and have elevated ourselves from a recreational team to a competitive crew rising up the ranks in the NYC dragon boat community. We work with members from a range of ages and ability hoping to cultivate passion and love for the sport and a desire to pushing oneself and your team to new limits. No experience necessary! All of our paddlers are home grown and we come in all ages, shapes and sizes! Our team philosophy is to motivate through enjoyment of the sport and the bonds we form with each other. We believe anyone can learn to paddle, but a desire to improve only comes with passion and a consistent work ethic. We foster team and personal growth by encouraging teamwork and camaraderie through water practices, pool clinics focusing on form and team weekly workouts that are fun and challenging! Our practices focus on improvement through correct application of the team’s technique which emphasizes efficiency and endurance. We don’t leave teammates behind and strive to make each season better than the last! Saturdays 1PM-3PM: Winter training starts on the paddle ERG, a machine adapted for paddling! Drop by our club house at 70 Mulberry Street to check it out! No obligations or fees required for these pre-season workouts. Open to anyone interested in joining or who want to learn more about our team! Just contact us at [email protected] for more information! We practice at the Worlds Fair Marina on Sundays and a weeknight from May through September, located behind Citifield Stadium which is accessible via car or public transportation on the 7 train to Willets Point. Looking forward to meeting you and hope to see you at one of our practices! Includes race registration fees and equipment rentals. Also includes general UEAA membership to participate in all United East teams and clubs. Competitive paddling in NYC doesn’t get any more affordable! Note: *Race transportation and lodging costs are not included. *Fun Fact About Us! When we are not training together, we play video games (Super Smash Brothers anyone? ), chat about anime, do yoga, lion dance, play ball, camp, hike, run marathons, volunteer on the weekends, and more! “For those unfamiliar with the sport, dragon boating simply put, is a boat of 20 paddlers, a drummer and a steersperson paddling to cross the finish faster than their competition. It’s a team sport in its purest form that encompasses the elements of power, speed, synchronization and endurance.